1. The quilting was way more time consuming than I expected but I finished my Chain Reaction quilt. I love this one sooo much! 2. I also finished this Hello Luscious Twister quilt and dropped it off for display at Quilter's Way. 3. Prep some handwork projects for all our summer road trips... I've been working on quilting this mini project from ages ago. It's perfectly sized for travel and it'll be nice to finally have it finished! 2. 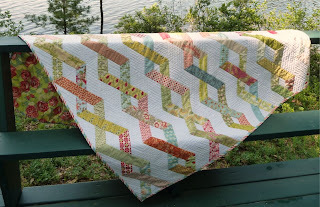 Make a mini quilt for the Lowell Quilt Festival BMQG challenge. 3. 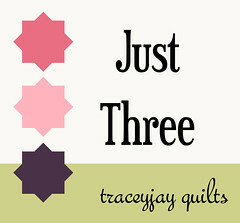 Get my act together for Round 3 of the My Precious QAL. I said I was doing it back in April and haven't done anything else. Definitely time to get stitching! I like it all, but I love the Chain Reaction and the way you quilted it, wonderful! Way more productive than me - congrats!! Congratulations.Love them all,are aboslutely beautiful! !